This ride is a PBA group ride with ride leaders for our members and guests that are looking for a mid week ride. 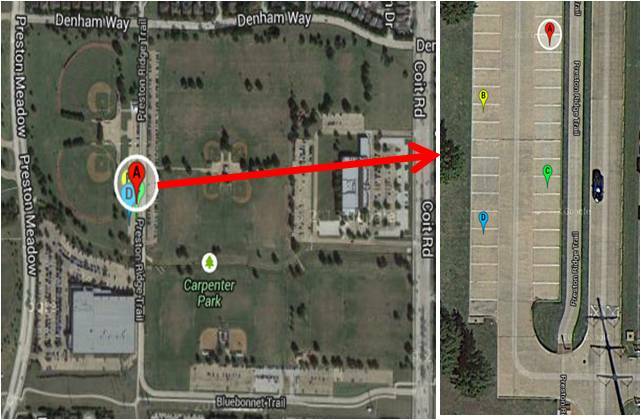 It is a 29 mile route that will depart from Carpenter Park at 6:00 PM. We have optional sprint zones along the way. During the summer months, temperatures can be over 100F, so bring at least 2 water bottles and hydrate well prior to the ride. Front and rear lights required August - May when riding after sunset. *Please note, the C pace is the regular ride; but if there is enough interest and there is an available ride leader, there will be a B ride as well. Those who drop off B may complete the ride with the C group. We follow all PBA and Texas Transportation Code rules and laws; stop at all stop signs, travel single file on all two lane roads (when there is room for a bike and a motorized vihicle to share the lane), signal when turning, calling out road conditions, etc.